One of the games featured at Nintendo’s Summer of Play, which always kicks off during San Diego Comic-Con, was the unreleased Flip Wars, and the game was as simple as it was fun to play. 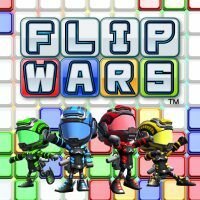 At first glance, Flip Wars highly resembles Bomberman. All the action takes place on a square gridded map, and four players can get in on the fun. While it resembles Bomberman and employs strategies very similar to Bomberman‘s ideology, it’s actually more similar to Splatoon. 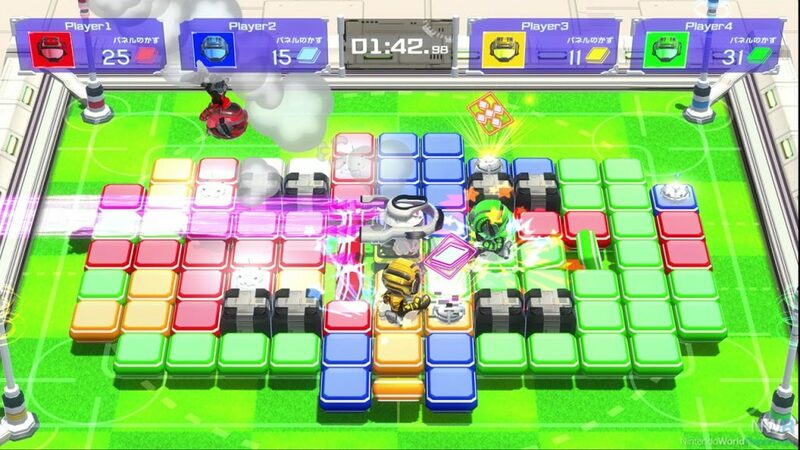 Flip Wars is all about ground-pounding the tiles so that they flip into the color of your player. At the end of the round, the player with the most tiles of his or her color wins. Like Splatoon, you can flip over tiles your opponents flipped to make them yours, but to draw more parallels to Bomberman, if you’re in an area that just gets flipped, your character gets flipped back to where he or she started with the boosts no longer taking effect. The power-ups featured in the game were pretty standard. You have power-ups that can make you faster, grant you an additional square to wreak havoc with your flipping, or change your vertical and horizontal pounding trajectory to a crisscross instead (+ vs. x), upping the ante with the strategy. I found myself trolling my opponents by constantly jumping right after they jumped, so I’d avoid being killed, while also pounding my way to flip tiles that they had just flipped a split second ago. I ended up losing my matchup with three other attendees, but it was still a lot of fun. Nintendo representatives promise more modes to be available when the game comes out in August, and it’s something we’ll keep our eyes on.